With its light-hearted, engaging illustrations and dental friendly language, this book is a perfect introduction for children to discover the importance of taking care of their teeth. 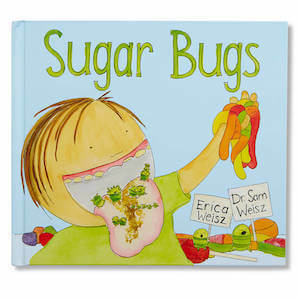 Follow Robbie as he befriends a sugar bug family, the Mutans, who move into his mouth. The Mutans love the sweets that Robbie eats for breakfast, lunch, and dinner. But as the Mutans eat more and more the of the junk food he never brushes away, Robbie sees that the Mutans aren’t such great friends after all. When Robbie starts to feel changes in his mouth, his parents decide it’s time to see the dentist to fix his sugar bug problem. At the dentist’s office, Robbie discovers the amazing instruments used to clean teeth and the three rules to stop another family like the Mutans from moving into his mouth. 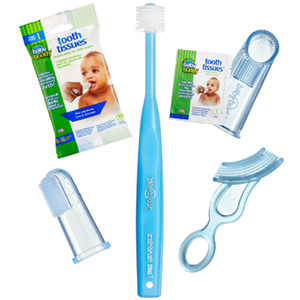 Dental Professionals use as a referral gift with local pediatricians, elementary schools, libraries, hospitals, doulas, birthing classes, and general dentists. Sign the book with your information as part of your marketing budget!